Tonya Harding, in her pomp, was a short, somewhat stocky girl, with powerful legs and immense strength. She attempted jumps and loops that others never did, and is, till today, one of only six women to ever successfully execute a move called the ‘triple-axel’. She was also more of a risk-taker, which meant she was also more likely to have a stumble. In the video below, taken from her winning performance at the 1990-91 US Championships, we see her landing the triple-axel not once, but thrice – which is not just brave, it’s audacious – in the course of a program that is athletic, powerful and confident. Nancy Kerrigan was tall and elegant, a brunette with a face like an angel, who possibly did not have the powerful moves that Tonya did, but executed her programs with grace, precision and beauty in costumes designed by Vera Wang. The video below, from her silver-winning performance in 1992, brings out, I think a lot of what figure skating ends up becoming. It’s not a spectacular program, relying on safer lines, safer jumps, but the commentary team is gushing in its praise, focussing on her costume and attitude more than the performance itself. Tonya came from a typical white trash family, with a father who bailed while she was in her early teens, an abusive mother, a step-brother who would later be arrested for child molestation, a goon of a husband and had a smoking addiction. That such a family and such a background produced a world-class athlete is one of those throws of the celestial dice that seems to be damn near inexplicable. 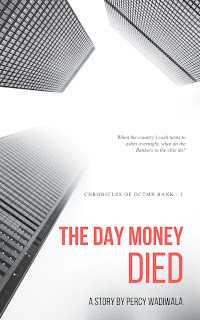 Nancy was a clean-cut all-American, from a close-knit, middle-class family who worked hard to provide a supportive environment for their daughter, a rags-to-riches story without the warts. Those of us familiar with the media, and the American media in general, would not need much prodding to guess that even before things went terribly wrong that night at the US Championships, the media played one against the other, building Nancy Kerrigan up as America’s Golden Girl, with Tonya Harding as the trashy pretender. The scores from judges reflected a similar bias, with Nancy consistently beating her rival by ever-wider margins, which at least initially, may not have correctly reflected the merits of the skates of the two girls. In 1991-92, at the height of her triple-axel glory, Harding was as good as anyone else in the world. Seen as USA’s best prospect to take on Midori Ito and the other strong Japanese skaters. She went into the 1992 Olympics in Albertville, France with more pressure than life had equipped her to handle. 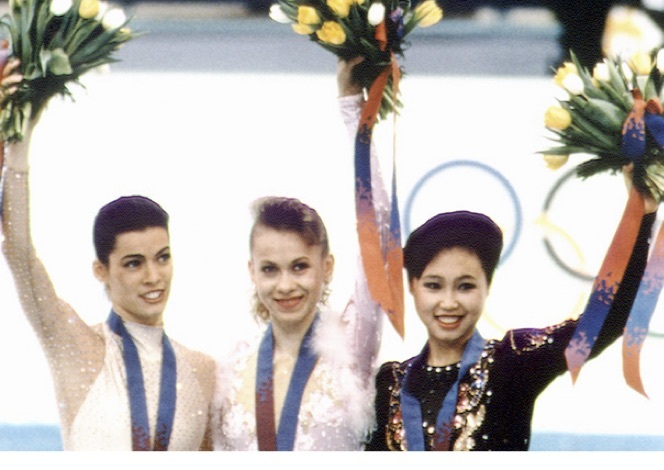 Harding’s signature move betrayed her not just once, but twice, in both the short and the free program, and she ended fourth, behind Kerrigan in bronze, Midori Ito in silver and Kristi Yamaguchi in the Gold medal positions. America loves its winners. Missing that bronze that day turned the tide against Harding irrevocably. By 1994, Kristi Yamaguchi had retired from competition, and Harding’s reputation was mud. Her results were poor, Kerrigan was queen of all she surveyed. Unless you were too young, or living under a rock, you know what happened next. At the U.S Championships to select the squad for the 1994 Olympics, Nancy Kerrigan, then the nation’s leading skater and top prospect for Olympic gold, was attacked in a parking lot, a day before she was set to perform and had to withdraw. Tonya Harding, who was the best of the rest, skated a beautiful, if more conservative than was her norm, routine and won the title. To all appearances, Harding seemed to have reclaimed her spot in the sun, and it seemed that despite the tragedy that had occurred the previous day, the medal prospects for the USA were in safe hands. In the weeks to follow, it emerged that the person who attacked Kerrigan was paid to do so by Harding’s ex-husband. The sports media that had feasted on Harding’s uncouthness and lack of sophistication, ripped into her perceived guilt. The national media gleefully joined into the circus. As investigations progressed, both women went to the Olympics in Lillehammer, where Kerrigan, whose injuries had proven to be relatively minor, went on to win a silver, losing to a 15-year old Ukranian prodigy by the name of Okasana Baiul (who later moved to the US and acquired a taste for alcohol). Harding controversially abandoned her program due to a problem with her skates, came back and skated competently enough for a top-ten finish. At Lillehammer, in the Olympic Finals, Tonya Harding did not attempt the legendary triple-axel. Oksana Baiul, the Ukranian orphan with a heart-breaking back story won, the difference between her and Nancy less than a point, but that was moot in the end. America was shocked, and whispers of what might have happened had Nancy not gone through the trauma of the attack on her leg continued to dog her, though mercifully, no one latched on to the Ukranian judge giving Oksana 0.2 of a point higher or the American judge giving Nancy 0.3 marks higher. On the return from Lillehammer, the case progressed. Arrests were made, but nothing was ever proven against Harding personally. There was no evidence that she had prior knowledge of the attack, less that she had ordered it, and she was only found guilty of not coming forward to the police with evidence in the case. But her career was over, and she was handed a lifetime ban from skating competitively. She went on to become the kind of pathetic celebrity side-show that litters the media-scape, existing only to be hated by the general public. Certainly, her lack of any sort of remorse, her inability to say the right things, her limitations as a person (and certainly Tonya Harding the person falls very far short of the brilliance that was Tonya Harding the skater), have meant that she has never risen above being a white trash cheat in the public’s perception. Kerrigan’s top-level career was over too, the world of figure skating was moving on, and the competitors would get younger and more flexible, a kind of convergence with artistic gymnastics in that sense. But she had a much brighter future, benefiting from a wave of sympathy and able to continue to skate professionally for many more years. What really transpired is something we may never know. Harding has maintained her innocence and claimed victimization, and indeed, there seems to be very little reason why she would, rationally want to do such a thing. On the other hand, this was a woman whose skills on the rink possibly made us forget how intellectually stunted she was otherwise – by all accounts, she was barely literate. Perhaps she felt taking out Kerrigan would clear the way for her to win. Perhaps she felt Kerrigan distorted the judges’ view of her and carried out this crime of utter stupidity. The bottom line of the sordid saga, of course, was never the human impact on the people involved. The 1994 Lillehammer Women’s figure skating finals are among the most-watched sports program in American history, indeed, the ONLY event other than a Super Bowl to figure in the Top 20 most-watched list. It was network programming gold. Other controversies would hit the sport. In 1998, judges were accused of fixing. In 2002, the hosting itself would come under a cloud, and then another fixing scandal would hit the pairs event. Turning the page from 1994, we come to the points system. It was finally altered in the 2000’s, in an attempt to take precisely the element of bias out of the equation. Instead of leaving the scores entirely to the discretion of the judges, a technical score was assigned to the routine done by a skater, which was pre-disclosed, and deductions made from that score for mistakes. Artistic scores were still left to the judges to decide, of course, but it did mean that skater attempting a more difficult routine had a better chance at a high score than one doing a less demanding one. It is a similar scoring system to artistic gymnastics at the Summer Olympics. A cursory glance over the results in artistic gymnastics would help us to understand how this change in the scoring system has impacted the sport. Prior to 2004, under the old scoring system, the sport is dominated by the USSR and East European countries. From 2004, it has been dominated by USA and China. In 2012 in London, Gabby Douglass of USA won the all-round title by 0.3 points from Viktoria Komova of Russia. Most would agree that Komova’s performances were more graceful, but Douglass had greater flexibility and attempted technically more difficult routines, that gave her a sliver of an advantage. In more general terms, the new point scoring system, in my opinion at least, by giving a premium to technical difficulty, gave the more athletic Americans an edge over the Russians who approached gymnastics as an extension of the ballet rather than an exercise in technicality. It’s not too much of a stretch to extend the same analogy to figure skating, which even otherwise demands a certain level of athleticism and control. So let us come, now, to Sochi 2014. I watched part of the short programme, and while most of the competitors did make an error or two, they were generally impressive, as should be expected at that level. Most were youngsters, in their teens, with bodies that seemed to bend and spin in directions that should not be humanly possible. Kim Yuna was the first of the frontrunners to compete, and the commentators made it very clear that she was the favourite. She certainly skated like it, her performance was 150 seconds of goosebump-inducing magic that it was a privilege to watch. At 23, Kim is tall, graceful and elegant, moved like she was born on the ice, and there is a definite aura of effortlessness about her routine. She skated like a woman who knows she’s God’s gift to figure skating and her score on the night, 74.92, was light years ahead of Polina Edmunds of USA who was leading with 61.04 until then. Carolina Kostner came on later in the night, the Italian who had been a hot favourite going into the 2006 and 2010 Olympics and managed to fluff it up both times. Kostner is 27 – ancient in figure skating terms – and looks it, by which I mean that she skates like a woman. Her lines were elegant, she was executing perfectly a difficult technical program and her jumps were confident. Unlike in Kim’s skate, you could see the difficulty here, you could feel the effort that a great athlete was putting in what she must have known was the last skate of her career. I was a bit surprised when he score flashed as 74.12, because for sheer beauty, her routine had not looked nearly as good as Kim Yuna’s regal performance. But on afterthought, there had been loops, more jumps, more technical prowess in Carolina’s routine, and that was undoubtedly what made her, as confirmed by the commentators, a deserving contender for the medals. I did not get to see the other contenders skate, as the program stretched into the night, but when I woke up the next day, I found that the other hot favourite, Mao Asada, had had a meltdown, scoring a relatively poor 55 after failing to land that elusive triple-axel, and the great American hope Gracie Gold, had ended 6 points short of Queen Kim. The headline though, was the woman who had squeezed into the 0.8 point sliver between Kim Yuna and Carolina Kostner – a hitherto unheralded Russian teenager named Adelina Sotnikova. A bit of research showed that Sotnikova has a brilliant home record, winning the Russian championship four times, including most recently at the same arena where the Olympics were being held, and it wasn’t that surprising after all. The freestyle skates were in groups of six, with the top placed skaters in the last group. Like the previous day, one got to see a lot of very beautiful performances, with inevitable errors, as might be expected from lower-placed qualifiers, until 16th placed Mao Asada came on. She had announced her imminent retirement before the Games, so this was her last Olympic skate, and as she sashayed around the rink, knowing she had no chance of a medal after the flubbed short routine, there was an element of freedom in her routine that the other girls did not seem to have. Skating to Rachmaninoff’s second, the Japanese woman gave us four minutes of perfection, putting down a routine that blew the competition so far out of the rink, it was easy to imagine that if she had not blundered the previous day, she would have been the most serious competition to the three leading ladies. As it was, the ones who came after her were far short of her total score. And yes, this time she did pull off that legendary triple-axel that had burned Tonya Harding twenty years earlier. When will we see it next in competition, now that Mao has retired? But for all her bravado, Mao had too much of a deficit to have a serious shot at medalling – twenty points, remember? - and when the last six came out to skate, it was evident that the medals would be shared between Sotnikova, Kostner and Yuna, with Gracie Gold having an outside chance at best. Carolina Kostner was the first of the lead trio to skate, and she was as good as she had been the previous night, executing with panache, beautiful and elegant, the epitome of what a skating routine should be. She had chosed the music of Ravel’s Bolero and skated it like the ballet that it originally was. Her eventual score was 0.1 short of Mao Asada’s, which combined with her short routine score, put her in first position and meant that she had a definite chance at gold. Moreover, she had thrown down a gauntlet – Gracie Gold, Ashley Wagner and the others were no longer in it. Adelina Sotnikova was next, and the first thing you notice about her is how incredibly young she is. She’s seventeen and looks it, is pretty in a Russian sort of way, and shorter by a half a foot than the rest of the line-up. It’s difficult to imagine her matching the grace of Kim Yuna or the strength of Carolina Kostner. And then she began her skate, to a composition by Camille Saint-Saens. I’ve seen performances classified as ‘electrifying’ in the past, in skating, in gymnastics, and most often in random dance shows on Indian television. They didn’t have a volt on what Sotnikova put out there. This was a girl giving the performance of a lifetime, drinking in the adulation that the crowd was pouring over her, feeding off it, and giving even more. She motioned to the crowd as she skated backward, she smiled as she spun, she was high, she was pure ecstasy on ice. She jumped more often, she spun faster, she executed combinations that others had not even attempted, she nailed every landing but one, which she had a tiny stumble on, and when she had finished, the crowd exploded like one of those nuclear bombs the world always fears the former USSR has left lying around. No one was surprised by her technical score, and though the commentary team on Star Sports thought her artistic score was higher than expected, there was no sense of a judging scandal. Until Kim Yuna came out, last to compete. There’s no doubt that the Queen put out a virtuoso performance. She is clearly one of the most gifted skaters in history, and seeing her movements on ice was absolutely mesmerising. But there was a distinct sense – and the commentators sensed it too – that she was playing to her strengths, that she had not challenged herself the way she had four years ago when she set world records. It was the skate of someone who was perhaps feeling like she had done it all before, and just wanted to get it done – and it was still mind-bogglingly beautiful. Where Adelina had shone, Kim seemed to merely reflect light, moving from memory. Where Adelina’s every move was an expression of triumph in a struggle over the ice, Kim’s showed that she had mastered it, and she knew we knew it too. When it was over, and she bowed to the crowds one last time (perhaps unusually for someone who is worshipped in her home country, she was not the person the crowds wanted to see win), the tension was palpable. The result is now out there for everyone to see, and debates about the margin are to be expected. Yuna and Adelina are such different skaters in style that comparing one against the other seems almost unjustified – like comparing the batting of Bradman with that of Babe Ruth. Did the effervescence of the Russian outscore the elegance of the Korean? Did her strength counter-balance the other’s grace? Was Kim just a little tired compared to Adelina, who seemed to brim with energy? I went to sleep with a tinge of regret that Kim did not win, but with a sense that Sotnikova had deserved the Gold. I woke up to find Korea disagreed. I suppose this was to be expected. By all accounts, Kim Yuna is royalty in South Korea, their Tendulkar and Dhoni combined. What was not expected was the vitriol being spewed by others – mostly Americans. Their own skaters had not even been realistic contenders. Even before the blades hat hit the ice, the favourites to medal were Yuna, Asada, Kostner and Lipnitskaya. Two of the four medalled, and the ‘upset’ was by a girl who, let me re-iterate, had just won the Russian nationals at the exact same venue. She knew the rink, had practised there, won there. She had beaten Tatiana Lipnitskaya in front of neutral judges. Why are people so surprised she won Olympic Gold? A viewer thinking Kim skated better is totally understandable. But the twitterati has exploded with allegations of a ‘stolen gold’. There was a Ukranian judge, and everyone knows they must’ve voted the same way as the Russian judge – Specious argument at the best of times. The recent situation in Kiev is evidence that Ukraine does not blindly go with the Russians. One of the judges had been found guilty of match fixing in the past – It’s true that such a judge being on the panel is a scandal, but one judge CANNOT influence the overall outcome by more than half a point at best. There are 9 judges on the panel, and Sotnikova won by over 4 points. So unless we are assuming that ALL The judges are biased, including the ones from Canada, Italy, UK and oh-so-pure USA, the final result cannot have been engineered. Sotnikova performed essentially the same routine she had at the European Championship a few months ago, the score she received here was 18 points higher than that – I have seen the European Championship performance. It has a fall and couple of stumbles. The Sochi performance has exactly one stumble. It’s a better performance by some distance. From my point of view, therefore, none of the charges stick. Which then becomes a matter of trying to figure out why this sort of vitriolic backlash may have been provoked. The national narrative of America is founded in ‘exceptionalism’, a doctrine by which the USA is considered by its own citizens to be “chosen” to be great. Ergo, they must be great at everything, including sport. Since, unfortunately, they have no interest in Football or Cricket, they don’t really play the rest of the world at any meaningful sport as a nation (American individuals participating in tennis and Golf are subject to the same pressures, but let’s keep that for a separate discussion). So this doctrine of exceptionalism is tested mostly only when the Olympics come around. The coverage of Sochi 2014 has been on similar lines. NBC’s original golden girl, Lindsey Vonn, pulled out of the competition, citing injury concerns. This left the network with the skating trio as the next most marketable athletes, and marketed they were, ad infinitum. To be fair to NBC, when the event was over, it appears they were pretty fair in showing the reactions, with the on-screen commentary team, that included Tara Lipinski (Gold Medallist at the 1998 games), conceding that there was no clear winner, and either Kim or Adalina could fairly be considered a deserving winner. But Tara Lipinski was on the cable channel – NBC’s national broadcast featured less qualified commentators who called it rather less professionally. But an audience weaned on being told their skaters had a chance, were in no mood to accept another winner. Kim herself, perhaps, as defending champion, had enough of a following to be accepted as a legitimate champion, but not the upstart Russian kid who was just not enough of a picture – perfect beauty in the way that Gracie Gold or Ashley Wagner is. I suspect that if Kim Yuna had won in similar circumstances over Gracie Gold, the backlash would have been just as severe, if not worse (Thankfully there was no chance of that. Gracie Gold was the best of the Americans, but she wasn’t on the same planet as the lead three or Mao Asada). But anger must out, and hating the old enemy always works. They had never heard of Sotnikova (mostly because the network never mentioned her – as I pointed out, she’s got pedigree for her age). Perhaps it was an outburst of outrage at a world that should never have told them their competitors were the best in the world when they clearly weren’t, mis-directed at the little girl who was everything her nation needed her to be. After all, its always easier to believe there has been cheating afoot than to acknowledge that you aren’t good enough, and – horror – that the Russians are. In the final analysis, this crisis should also blow over. Figure skating has fed off controversy for too long now to be satisfied with superlative performances. Stuff like this is the oxygen the sport needs to retain TV eyeballs in the American market. With any luck though, Kim Yuna will refuse to play Nancy Kerrigan-style victim, and will spare Adalina the horror of being the American media’s new Tonya Harding. The records will show that a popular, youthful home favourite skated a supremely difficult program, did it in style, and edged the reigning champion, a narrative so common that it’s unlikely that by the time the 2022 Olympics come around, anyone will remember there was a controversy at all. I worry more about the scars this nonsense will leave on Adalina Sotnikova, a girl who would have gone to sleep as the Queen of the skating world, and woken up as one of the most reviled figures on the internet. Seventeen is too young to be told you do not deserve what you have poured your heart out to win. Seventeen is too young to face that sort of hatred. Seventeen is too young to be told the world would be better off with you dead. So yes, someone was cheated at Sochi 2014. It wasn’t Kim Yuna and it certainly wasn’t the American public. It was the Olympic Spirit. THAT was wonderfully written. Started off with a soupcon of humor and ended by creating deserving sympathy for Adalina. True that, in playing off our own resentments and rivalries with nations, we do untold damage to people. A young kid, in this case, who we would otherwise feel ashamed of injuring like this.